Whether you are an artist creating your own pottery masterpieces or you are simply interested in freeing up some space by moving pottery out of your home, you should properly prepare your pottery before placing it in a storage facility. By taking the time to invest in your pottery, you can rest easy knowing that your pottery will come out looking just as good as when you put it into storage. Today, Affordable Family Storage will discuss the proper steps you should take before placing your pottery into a storage facility. Because pottery is so delicate, giving your pieces a gentle cleaning to remove dust can help with preservation. 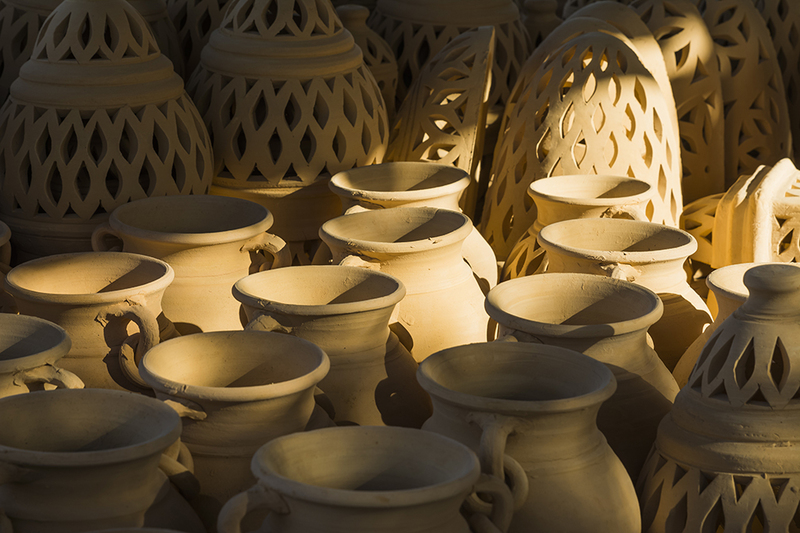 Glazed pottery is less susceptible to damage from dust, but anything that is unfinished or unglazed must be gently cleaned before moving them to a storage facility. Use lukewarm, soapy water to gently wash your pottery before moving on to the next step. Wrapping your pottery with an acid-free paper before placing it in storage long-term will help to protect your art. Luckily, moisture is less damaging to pottery than other delicate items, so there is no need to tightly seal the pieces. After wrapping with an acid-free paper, it can be a good idea to also wrap with bubble wrap because pressure or the act of moving your pottery can crack your pieces. The more protection you can put around your pottery, the better. Using a single box for multiple pieces of pottery is fine as long as each piece has room to move around. Packing your items too tightly can cause too much pressure and result in broken pottery. The big threat to your pottery while in a storage facility is extreme temperature. When temps dip below 40 degrees Fahrenheit, pottery is at risk of a hairline fracture because of the different rates of expansion and contraction between the clay and the glaze. Extreme fluctuations are extremely problematic, so choosing a storage facility that has a controlled-climate is key to preserving your work. In Need of a Climate-Controlled Storage Unit? Affordable Family Storage has the premier storage facility in Council Bluffs. With state-of-the-art climate-controlled units and 24-hour security, you can be sure your pottery, or any other belongings, will remain safe and secure while at our facility. To learn more about our storage units, contact our team today at 712-794-4648. Or simply stop by our location at 1851 Madison Ave #300 near Oskies, Eileen’s Colossal Cookies, and Shoppes at Madison Avenue.